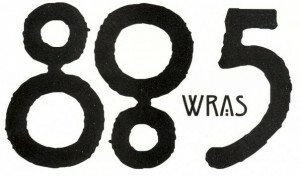 Starting June 2, WRAS 88.5 FM radio will broadcast Georgia Public Broadcasting (GBP) content from from 5 a.m. – 7 p.m., according to a university press release on May 6. Ana Zimitravich, current RPM Music Director and former General Manager of WRAS, said the radio station was not informed about the two-year contract being signed by the university with GPB until 10:30 a.m. on May 6. Zimitravich said WRAS views the change as negative and students working at the station are hurt and disappointed with the university’s decision. She also said the station feels the decision won’t actually bring more listeners to Album 88, but only to GPB broadcasting. Daytime broadcasting of WRAS will be streamed live online and Georgia State will also have access to GPB’s resources through one of the company’s digital television stations, according to the press release. Andrea Jones, Associate Vice President for Public Relations and Marketing Communications, said listeners will log onto the web and use an app like Tunein Radio or use a digital receiver to hear Album 88 during daytime hours. “It does not affect the programming of student content, just the way listeners access it,” Jones said. Jones said more details about the half-hour magazine radio program will be available once students work out the content. However, Zimitravich said they have no plans about the magazine radio program, because they were only informed about the decision on such short notice. “It [the decision] is taking independence away from independent music,” Zimitravich said. Currently GPB partners with Mercer University’s campus through their Center of Collaborative Journalism, according to the press release.Other GPB university radio affiliations include Georgia Regents University, University of Georgia and Armstrong Atlantic State University. The final affiliation is with Carrolton station on the campus of the University of West Georgia, according to the press release.